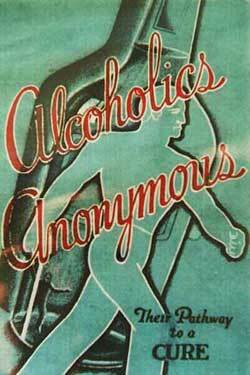 Compiled by Mike L. & Barefoot Bill L.
There are 124 references to working with others throughout the first 6 chapters of the Big Book of Alcoholics Anonymous. Chapter 7, ‘Working with Others is entirely devoted to the subject of working with other alcoholic addicts. Obviously the Big Book authors are trying to tell us something here — work with another alcoholic addict is vital to our recovery! Here is a list of all Twelfth Step references in the 1st 89 pages of the original, unchanged text of the Big Book of Alcoholics Anonymous. Page 60, Paragraph 2: “Our description of the alcoholic, the chapter to the agnostic, and our personal adventure before and after make clear three pertinent ideas: (a) That we were alcoholic and could not manage our own lives. (b) That probably no human power could have relieved our alcoholism. (c) That God could and would if He were sought.